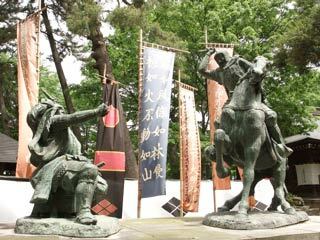 Shingen arrived in August 24 with 20,000 soldiers at Mt. Chausu, and moved his army to Kaizu Castle in 29. Kenshin had a chance to defeat Kaizu Castle (Matsushiro castle), but because Kenshin stayed with Samurai honest or maybe he was not good defeating castle, he stayed at the mountain and never attacked the castle. Also, Mt. Saijo is the dead end spots. This is biggest mystery why Kenshin settled his base on Mt. Saijo.